Superbly furnished and equipped self catering cottage which sleeps 4 - 6 in the heart of the Isle of Anglesey surrounded by open rolling countryside. 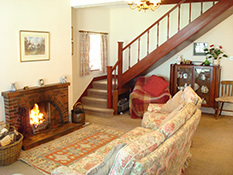 In the winter the cottage is warm and cosy with log fires and central heating. 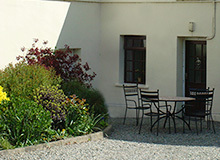 Well-equipped kitchen, microwave, tumble dryer, washing machine and dishwasher. This comfortable and well presented cottage has its own entrance with outside space, you will be able to appreciate the wonderful peace and tranquility overlooking open pasture and adjoining a shaded copse. It is an ideal base for relaxing and exploring "Môn Mam Cymru" translated "Mother of Wales" which identifies the fertile land of Anglesey. Anglesey offers a wonderful diverse range of activities including, walking the famous Coastal Footpath, bird watching on the several RSPB reserves around the Island, cycling, beaches. 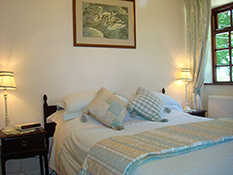 Numerous attractions including a Sea Zoo, butterfly palace, a working windmill to name a few. Llwydiarth Fawr offers you the perfect location in both comfort and location to enjoy a relaxing long weekend to fortnights holiday to recharge, we look forward to welcoming you.